Cocktails are always my top choice when I’m serving a small group, but they become a hassle when you have a big crowd. In my opinion, punch is a better drink entertaining because it can be made in advance and will serve a lot of people. And people love to see a punch bowl on the table at parties. This New Age Sparkling Punch is a summer-entertaining favorite that I came up with this summer, inspired by New Age white wine. 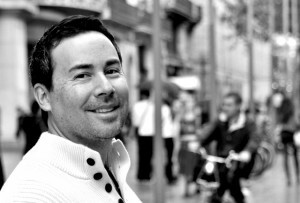 The wine is slightly sweet and very slightly effervescent, like a toned down version of champagne. It is easy to drink on its own and blends very well with a variety of juices, including lime, orange and pineapple. 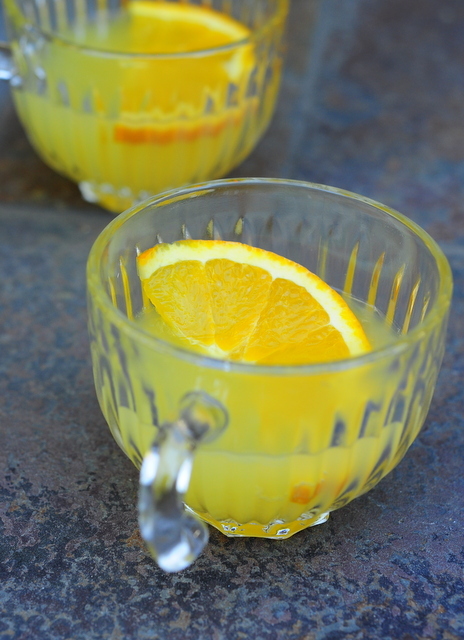 The punch is milder and less sweet than sangria, and less boozy than punches that are heavy on spirits like rum, so you can enjoy as much of it as you want during a summer cook-out. Pour all of the ingredients, except the New Age sparkling wine, into a large bowl and give it a good stir. Place a large ice block (see below) into a punch bowl. 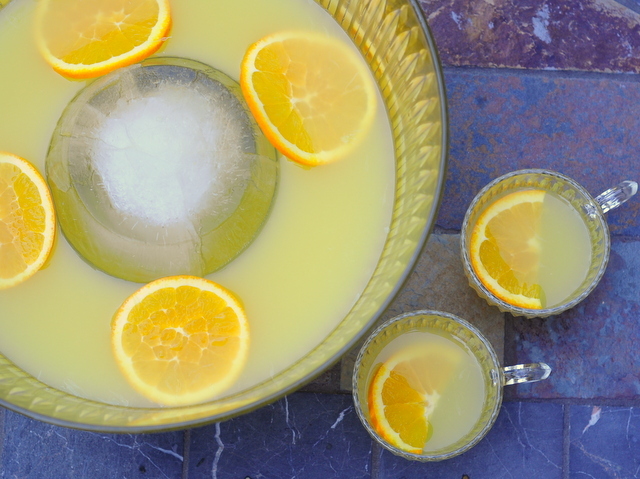 Now, pour the juice mix into the punch bowl and pour in the bottle of sparkling wine. 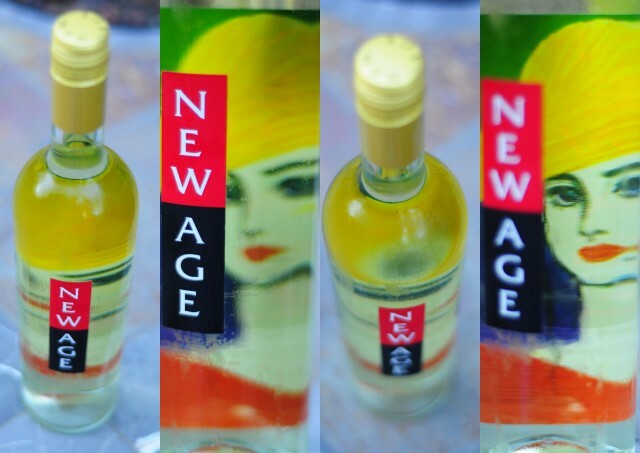 To make the punch a little stronger, add a second bottle of New Age. This should also add another 5 servings to the punch. 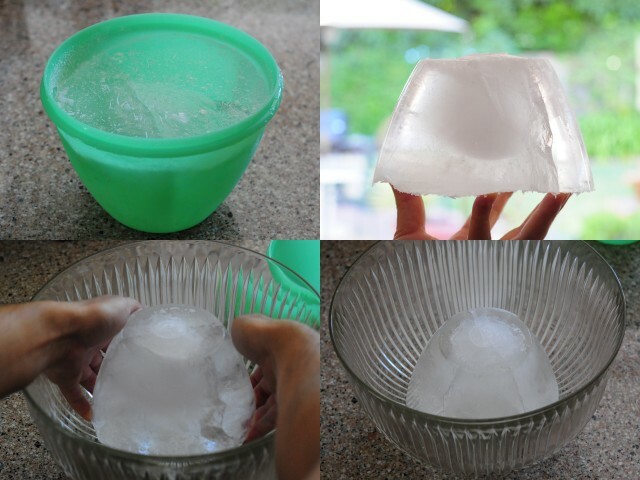 I made my large ice cube by filling a Tupperware bowl with filtered water and freezing. Great idea! Love pictures, too!